Ready to get loads of money to your Payza account? Our latest Payza money adder ultimate can give you that. After finding a loop hole in payza. We just created a tool to exploit that loop hole which is so called the payza money adder ultimate. 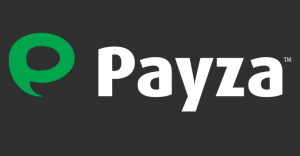 With this payza hack you can add up to 1000$ a day with just a click of a button. Works perfect for both verified and non-verified payza users. Works in all geo locations whether it is US France or any other. With the use of proxy your account will be safe while you are using this tool. We always try to provide hack tools with the best user interface. And in this case we hired the best UI designers and coders. Hence making this tool the best working hack tool for payza. If you are an online shopper or work online, then this payza hack can change your life for sure. Scroll down below for preview and for more information. Works on both verified and non-verified account types. Works for personal, premiere or business accounts. No password are pin required. Just your payza e-mail id. Uses proxy server to connect to the exploit for better account security. All geo locations are supported unless our servers of specific countries are offline due to some errors. Add from 10$ to 1000$ each day with no extra restrictions. The best UI for easy navigation and for better understanding. Updated on daily basis to fix flaws, errors and bugs. Download the payza money adder hack tool from below. Run the tool. Make sure you have installed dot net framework. Activate it. Just on the first time use. Insert your payza e-mail id and select your account type. Under settings choose the desired money you want to add. Under the configuration on/off proxy. We recommend switching on the proxy. Click on the add money button and wait till the success message appears. Done. Check your payza account. Wonderful blog post. That is what I was searching for. I really like your blog and I appericiate your efforts. Thanks for sharing your informative. Figure out how to hack morally! Know more about Internet Security and Technology. Get cool PC traps, tips, how-to directs and more from specialists.